The world may be filled to the brim with incredibly bad, sucky people who do incredibly bad, sucky things, but Bring It On and Deliver Us from Eva actress Gabrielle Union and her husband/Miami Heat basketball player Dwyane Wade are NOT those people. 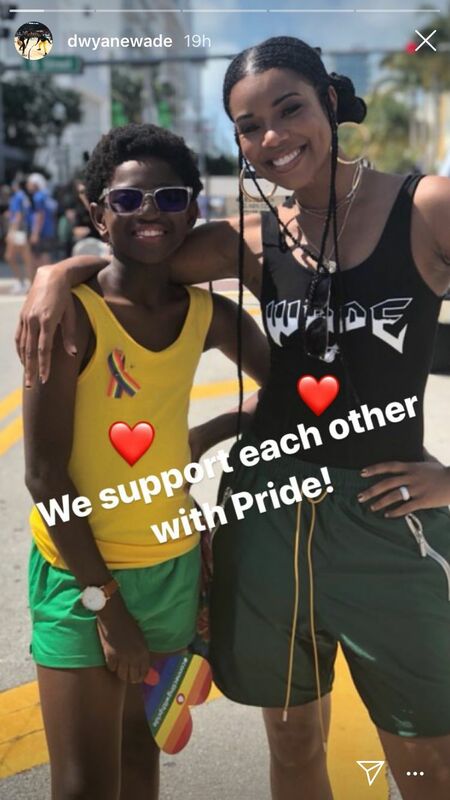 In fact, after openly and proudly showing support for Zion (Wade's 11-year-old son, Union's step-son) at Miami Pride this past weekend, I'd say they're pretty awesome people. "We support each other with Pride!" Wade, who couldn't attend in person, wrote in the caption on a post on his Instagram story of Union and Zion proudly rocking rainbow-colored gear at Miami Pride. But this isn't the first time Union and Wade have showed Zion how much they love him! 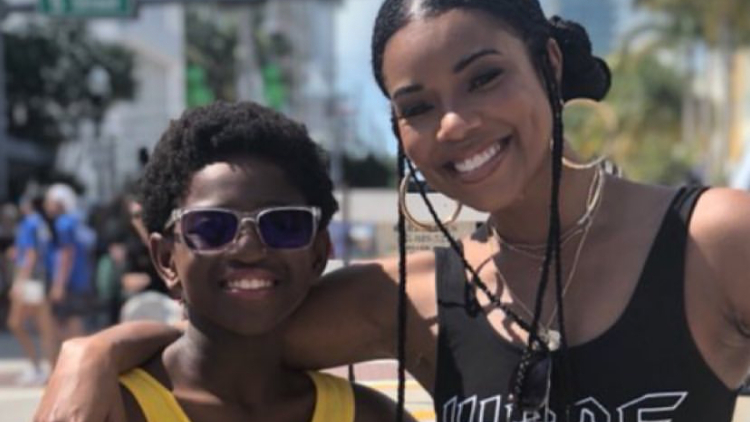 When Zion walked the runway at Wade's charity fashion event last month, their entire family was cheering him on, and it was literally the sweetest thing ever! THIS is how parenting queer kids should be done! More positive things like this in the world, please!